1. 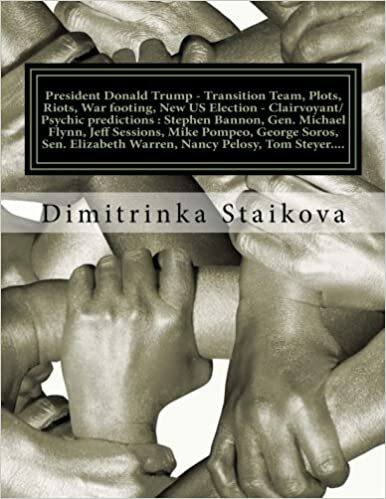 Donald Trump (US President) – Clairvoyant reading July 25, 2018 to the Trump – Putin Summit in Helsinki July 2018 – Trump’s health, a refund of arrested Russian money, Deals, Advices about internal problems of USA, A decision about ISS, Business deals for ISS, US Elections 2018 , A trial for the Russian meddling in US Elections 2016 – by Clairvoyant House “Dimitrinka Staikova and daughters Stoyanka and Ivelina Staikova ” – from Europe, Bulgaria, Varna. 2. 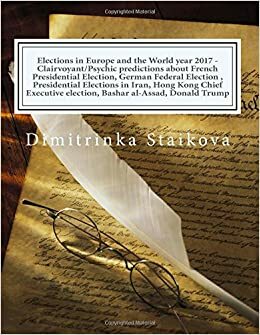 Vladimir Putin (Russian President) – Through the eyes of Putin : the meeting with Trump in Helsinki 2018 – their conversation and clairvoyant predictions for year 2018. 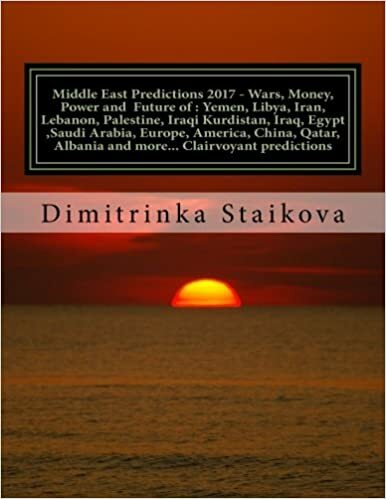 A war – overwhelming tension, Nuclear power – transformation, Partition of the World – 12, Four nuclear charges in a packet, A cave in Caucasus, North and South Pole, The Russian meddling in US Elections 2016, Big Earthquake in Caucasus, The Space, Golden money, A coup in Africa… – Clairvoyant/Psychic predictions July 26, 2018, 3 pm – by Clairvoyant House “Dimitrinka Staikova and daughters Stoyanka and Ivelina Staikova ” – from Europe, Bulgaria, Varna. 3. Steve Bannon (Former Advisor to Donald Trump and Founder of the Far-right foundation “The Movement) – What he is afraid of, A new business – medicaments, A research (USA, Canada). 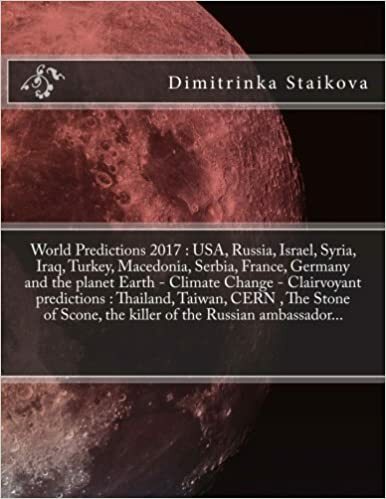 At the end of year 2018 – recognitions, money, gold and supporters – Clairvoyant reading July 28, 2018 – by Clairvoyant House “Dimitrinka Staikova and daughters Stoyanka and Ivelina Staikova ” – from Europe, Bulgaria, Varna. 4. 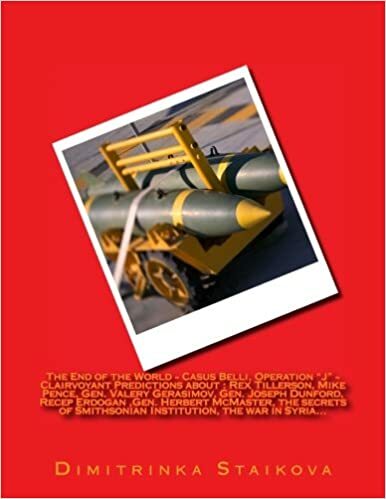 David Solomon (The new CEO of Goldman Sachs) – Health, Treatment, Uniting and merger, A war, CERN – a new energy and her transportation to Israel, Staying behind the winner about the offer for ISS – stages of the choice, Inflation – when? December 2018 – David Solomon is between two women – who are they ? – Clairvoyant reading July 29, 2018 – by Clairvoyant House “Dimitrinka Staikova and daughters Stoyanka and Ivelina Staikova ” – from Europe, Bulgaria, Varna. 5. Cyril Ramaphosa (President of South Africa) – Clairvoyant reading July 30, 2018 – by Clairvoyant House “Dimitrinka Staikova and daughters Stoyanka and Ivelina Staikova ” – from Europe, Bulgaria, Varna. 6. Henri de Castries (Chairman of Bilderberg Group) – His health , How will be solved the problems with the gases (Air pollution), The World politics and business through the eyes of Henri de Castries : USA, Great Britain, Germany, Russia, Africa, Libya, Ireland, China. 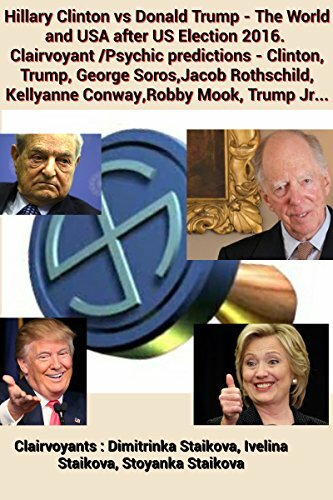 When and where there will be bad financial result, Elections and good business for Bilderberg Group – Clairvoyant reading July 31, 2018, 3 pm. 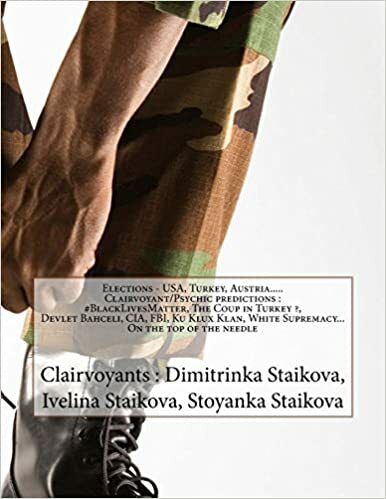 – by Clairvoyant House “Dimitrinka Staikova and daughters Stoyanka and Ivelina Staikova ” – from Europe, Bulgaria, Varna. 7. Andrew Brunson (American Pastor in Turkey , arrested October 2016 in the purges after the Turkish coup 2016) – Pastor Brunson and the Grey Wolves …. 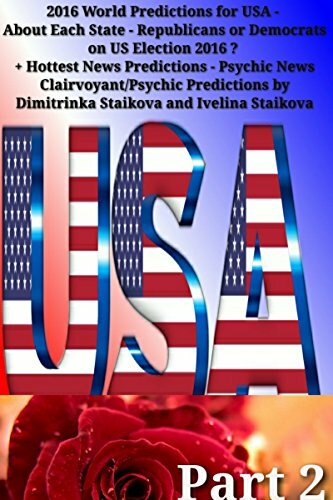 – Clairvoyant/Psychic reading August 13, 2018 – by Clairvoyant House ‘Dimitrinka Staikova and daughters Stoyanka and Ivelina Staikova ‘ – from Europe, Bulgaria, Varna. 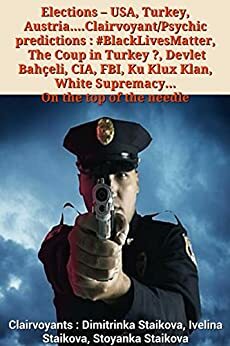 This entry was posted in #Finance, Ankara, Bank of England, banks, Bilderberg group, billionaires, Black Lives Matter, BRUSSELS ATTACKS, business, Clairvoyant, Confirmation, Cyprus, Davutoglu, Donald Trump, Election 2020, Erdogan, George Soros, Health diagnosis, Hillary Clinton, Italy Earthquake, Manuel Valls, MH370, Midterm Elections 2018, migrant crisis, Money, Nicos Anastasiades, Peace, Politicians, Pope Benedict, Pope Francis, President Barack Obama, Psychic, royal family, Stephen Hawking, Syria, Syria Strikes, terrorism, Turkey, Uncategorized, Us Elections 2016, Vatican, War, Washington, World predictions that came true and tagged "The Movement", #apple, #canada, #Ireland, #magic, #new, #now, A cave in Caucasus, A coup in Africa, a refund, a stroke, Advices, Africa, American Pastor in Turkey, Andrew Brunson, Apple Inc., arrested, between two women, Big Earthquake, Bilderberg group, Bulgaria, business, Business deals, Caucasus, CEO of Apple Inc, CEO of Goldman Sachs, CERN, Chairman of Bilderberg Group, China, clairvoyant, Clairvoyant House, Clairvoyant House "Dimitrinka Staikova and daughters Stoyanka and Ivelina Staikova ", clairvoyant predictions for year 2018. 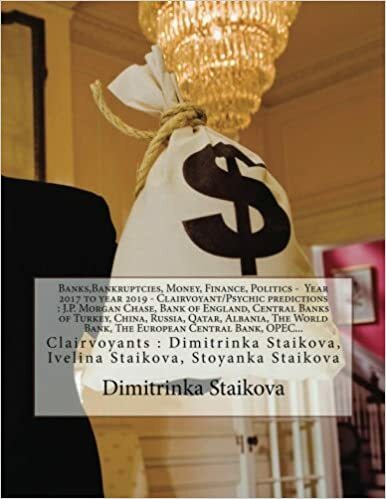 A war, clairvoyant reading, contracts, conversation, Cyril Ramaphosa, David Solomon, deals, December, decision, Dimitrinka Staikova, distant future, Donald Trump, elections, Europe, Far-right foundation, financial result, Former Advisor to Donald Trump, founder, Germany, Gold, golden money, Great Britain, health, Helsinki 2018, Henri de Castries, inflation, internal problems, irradiation, israel, ISS, Ivelina Staikova, japan, Libya, loss of consciousness, medicaments, merger, money, near future, New business, New energy, North and South Pole, Nuclear power, Nuclear power plants, nuclear charges, offer, overwhelming tension, Partition of the World, pastor Brunson, President of South Africa, problems with the gases Air pollution, psychic reading, purges, putin, recognitions, research, Russia, Russian meddling, Russian money, Russian president, South America, stages of the choice, Steve Bannon, Stoyanka Staikova, Supporters, the end of year 2018, The Grey Wolves, the meeting with Trump, The Russian meddling in US Elections 2016, The Space, The World politics, through the eyes of Henri de Castries, Tim Cook, trade war, transformation, transportation, treatment, trial, Trump - Putin Summit in Helsinki July 2018, Trump's health, Turkish coup 2016, uniting, Us Elections 2016, US Elections 2018, US president, USA, Varna, Vladimir Putin, war, Winner on August 20, 2018 by Clairvoyant Dimitrinka Staikova. This entry was posted in Uncategorized and tagged "The Movement", #apple, #canada, #Ireland, #magic, #new, #now, A cave in Caucasus, A coup in Africa, a refund, a stroke, Advices, Africa, American Pastor in Turkey, Andrew Brunson, Apple Inc., arrested, between two women, Big Earthquake, Bilderberg group, Bulgaria, business, Business deals, Caucasus, CEO of Apple Inc, CEO of Goldman Sachs, CERN, Chairman of Bilderberg Group, China, clairvoyant, Clairvoyant House, Clairvoyant House "Dimitrinka Staikova and daughters Stoyanka and Ivelina Staikova ", clairvoyant predictions for year 2018. 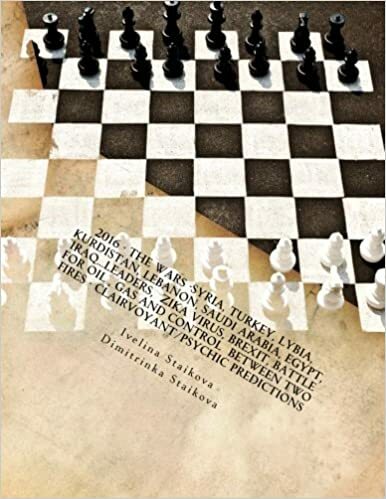 A war, clairvoyant reading, contracts, conversation, Cyril Ramaphosa, David Solomon, deals, December, decision, Dimitrinka Staikova, distant future, Donald Trump, elections, Europe, Far-right foundation, financial result, Former Advisor to Donald Trump, founder, Germany, Gold, golden money, Great Britain, health, Helsinki 2018, Henri de Castries, inflation, internal problems, irradiation, israel, ISS, Ivelina Staikova, japan, Libya, loss of consciousness, medicaments, merger, money, near future, New business, New energy, North and South Pole, Nuclear power, Nuclear power plants, nuclear charges, offer, overwhelming tension, Partition of the World, pastor Brunson, President of South Africa, problems with the gases Air pollution, psychic reading, purges, putin, recognitions, research, Russia, Russian meddling, Russian money, Russian president, South America, stages of the choice, Steve Bannon, Stoyanka Staikova, Supporters, the end of year 2018, The Grey Wolves, the meeting with Trump, The Russian meddling in US Elections 2016, The Space, The World politics, through the eyes of Henri de Castries, Tim Cook, trade war, transformation, transportation, treatment, trial, Trump - Putin Summit in Helsinki July 2018, Trump's health, Turkish coup 2016, uniting, Us Elections 2016, US Elections 2018, US president, USA, Varna, Vladimir Putin, war, Winner on August 16, 2018 by Clairvoyant Dimitrinka Staikova.